Sure, Sam Wyatt stands to gain if his sellers price sharply, but we happen to agree with his take on the market. Prices are headed down, and the only way for sellers to get to the front of the queue is to lower their prices. This is the process by which price drops progress. This also demonstrates why it’s impossible for anything more than a relatively small number of sellers to get out near a top. Those who do so will look very fortunate in coming years. 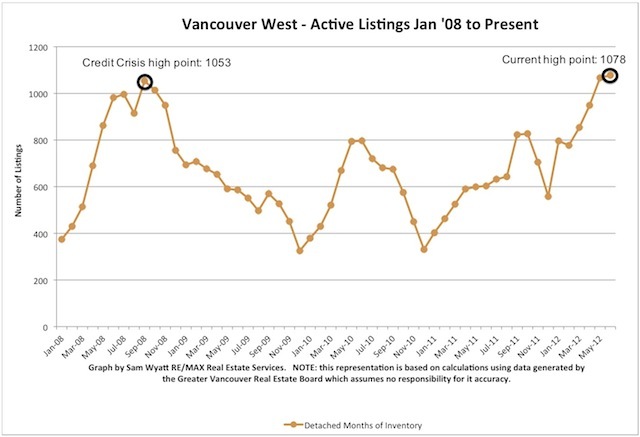 “Speculation is rife that Vancouver real estate is sliding down the drain. Wondering, YatterMatters Tweeted this question: “With thousands of listings on the market why are Vancouver home sellers selling? In what seemed like the mere passing of seconds came a response that wasn’t from a Vancouver home seller. These words are bold! 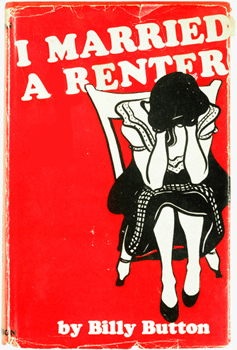 So bold that you begin to question if these words are representative of a current mind set for Vancouver home buyers. 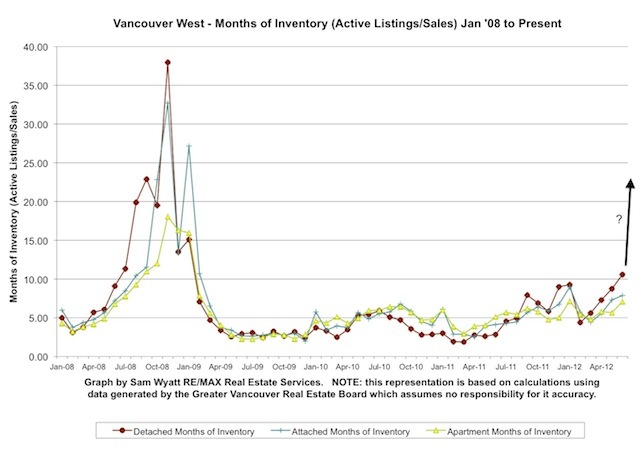 If so, what does this foretell current Vancouver home sellers and does this mind set explain ‘in part’ the limited number of Vancouver home sales? “In 1990 people were buying at about the same ratio as today but today they are not buying at 3.09%/5year rates versus 14% – WHY? Is it job security, income/mortgage payment ratio, world economic balance, price difference, fear? Some RE bulls imagine thousands of ‘thoughtful’, measured prospective buyers ready to line-up to buy Vancouver RE at 10% or 15% off. So, yeah, if you don’t really understand the dynamics of a bubble (fresh air between stratospheric prices and fundamental support far, far below), if a 15% pullback is the most you can imagine, you’re going to be a tad surprised with the effects of a deflating speculative mania. Previously orderly demand/supply dynamics go ‘non-linear’. Buyers sit on their hands (even those who thought they’d step in). Sellers come to market (even those who didn’t previously think they’d be sellers!). 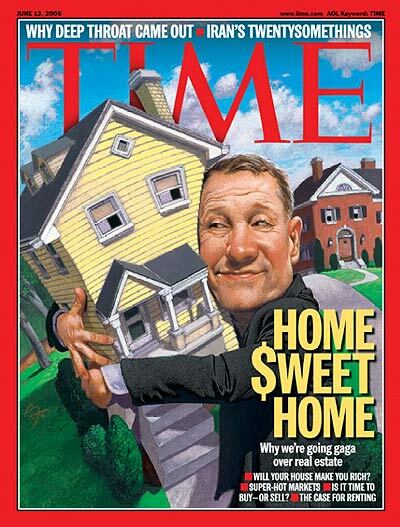 The crux is that the fantasy of ever-increasing home prices leaves the building, and that changes everything.